Most Republicans have one goal in repealing and replacing the Affordable Care Act: bring down premiums. So how did they do? The CBO verdict on the American Health Care Act is mixed: average individual market premiums would go down, and young and healthy people would be better off, but sick people could end up paying drastically more than they do under the ACA. Some would be priced out of the market. What Republicans are saying: They're happy with the overall premium reductions. 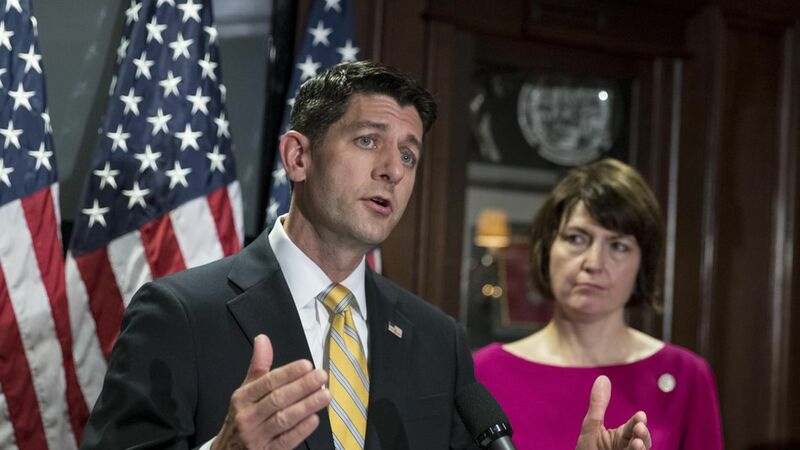 "This CBO report again confirms that the American Health Care Act achieves our mission: lowering premiums and lowering the deficit," House Speaker Paul Ryan said in a statement. What's changed since the last CBO report: The biggest thing is that the House added state waivers to the bill, which would allow states to opt out of the ACA's essential health benefits and the requirement that sick people be charged the same premiums as healthy people. Whether states take those waivers has a big impact on whose premiums increase or decrease, and by how much. In the short term, before most of the House bill provisions take effect, CBO estimates premiums will rise by 20 percent in 2018, and by another 5 percent in 2019. But they'd decrease after that — with some really big exceptions. States that don't take waivers: This is about half the population, and CBO estimates premiums in the individual market would decrease by 4 percent for these people, on average. But since the House bill allows insurers to charge older people more than the ACA does, premiums would be substantially reduced for younger people and would rise for older people. States that use the waivers to make modest changes to ACA regulations: These states, which contain about a third of the population, would see bigger premium reductions. CBO estimates that premiums would be 20 percent less in 2026 than under current law, "primarily because, on average, insurance policies would provide fewer benefits." Again, younger people would benefit more than older people. States that use waivers to make substantial changes to ACA regulations: This group contains about one-sixth of the population. Premiums would be lower than under current law, but people with pre-existing conditions "would face extremely high premiums." Premium variation would be very large. It's not just premiums: People who live in states that take waivers could also see substantial rises in their out-of-pocket costs, as less benefits may be covered. Older, lower-income people would pay "much larger" premiums. Younger, lower-income people would pay about the same or smaller premiums. Higher-income people of most ages would pay lower premiums, on average.